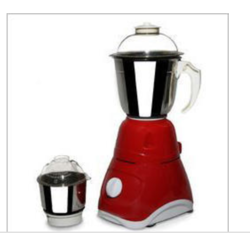 Offering you a complete choice of products which include electric mixer and 750 watts 3 jar mixer grinder. We have emerged as one of the leading manufacturer and exporter of the wide array of Mixer Grinders. These grinders are widely demanded in several domestic places for grinding and mixing several food items. The offered grinders are assembled and designed by utilizing premium quality components in accordance with international market standards at our well equipped production unit under the supervision of skilled professionals. The offered Mixer Grinders are available in multiple capacity ranges to meet specific requirements of our clients and can be availed at reasonable rates. 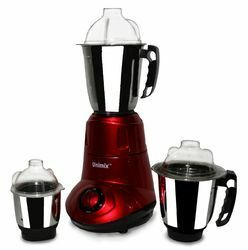 We introduce ourselves as reputed and trusted an organization to offer a broad array of 750 Watts 3 Jar Mixer Grinder. These products are configured with powerful motors that aid in converting every type of eatable substances into powdered form. These products are manufactured under the supervision of skillful and experienced professionals. Offered range of product is highly demanded by the clients for its high strength and performance. We are providing these products at reasonable market price. 500 Watts, 230 V ( Ac only ), 50 Hz, Declared Cycle – 2 minutes “ON” and 5 minutes “OFF”. Class of Insulation: “H” Class l.
Attachment: 50 gm – 200 gm Juicer Jar: 1.5 Ltr.